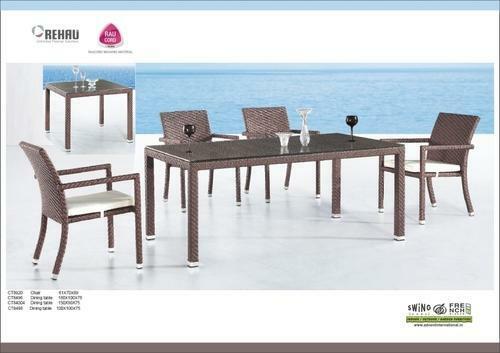 Established in the year 1995, we "Advert International" is a Mumbai based organization which imports indoor & outdoor furniture products from Hong Kong and supply the goods to our customer. We get the products made as per Indian standards where we give warranty and after sales service which no one gives in India. Our offered product range are quality approved to provide maximum satisfaction at user end. We also manufacturer high end range made of Aluminium and then weaved with Rehau Raucord and cushions made of Sunbrella cloth. Our products include Bar Chair & Table, Leisure Beach Bed, Coffee Table & Chairs, Dining Table & Chairs, Stylish Sofas, Swing Hammocks, Umbrella Gazebo, Designer Sofa & Other Utility products We also customize range as per your design and choice of colors. We also deal in Weber Barbeque where full service and accessories are offered by us.